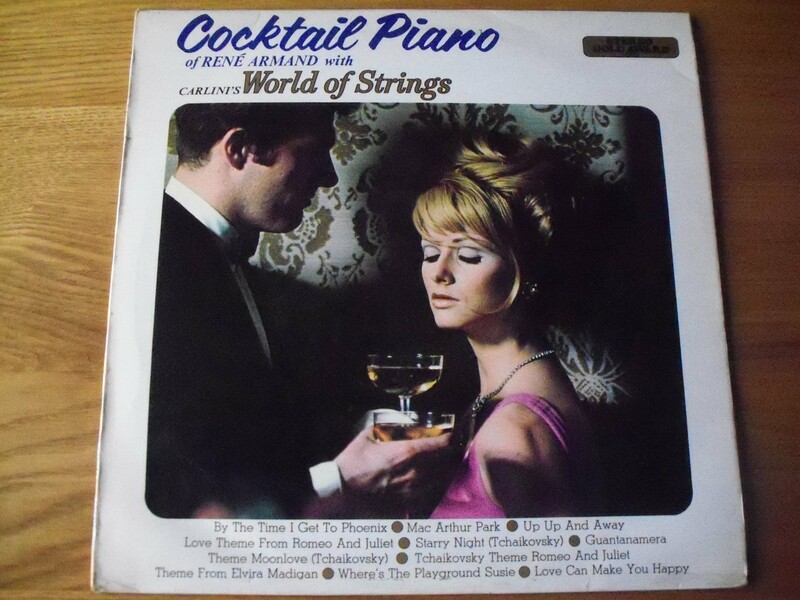 When the lights are dimmed and the mood is one of quiet relaxation there can be no finer company than the smooth and delicate piano style of René Armand, especially when he himself is in the company of the World of Strings. The album starts with a gentle yet forceful rendition of two Jimmy Webb classics – By The Time I Get To Phoenix and MacArthur Park. The second medley is a deathly serious Romeo and Juliet extravaganza with Tchaikovsky’s Moonlove theme thrown in at the end. There’s more Webb delights with Up, Up And Away and Where’s The Playground Susie bookending a slinky Guantanamera. Finally Mozart’s Elvira Madigan sees James Last get a mention on the label as arranger while Leo Muller pulls a credit for his ‘work’ on Love Can Make You Happy. Match this one to your mood.